The future of off-road travel has arrived. The Electric Juggernaut by Rungu is its name! You will love riding this dynamic invention. Forget dangerous, noisy, and gas-guzzling ATVs. The Rungu Electric Juggernaut isn’t a toy; it’s a three-wheeled revolution! Available in military green or midnight black. The Rungu Electric Juggernaut tackles off-road bumps like a beast. And it makes turns on the road with ease. All thanks to its NEW front suspension forks. And a whole host of capable features. The Rungu Electric Juggernaut is unlike anything else on the road. Designed for outdoor enthusiasts. Made for off-road explorers. Desired by hunters. The Rungu Electric Juggernaut enhances every adventure. Hydraulic disc braking system. This system uses 180mm front and back rotors. Add fenders to the shopping cart before using the coupon code. Do you love the Electric Juggernaut, but live for power? You are in luck because the Electric Juggernaut LE is available! This is a true e-ATV. It can climb higher. Is better at hauling. Plows through snow, sand, and mud with ease. Go ahead, ask the crew over at Popular Mechanics. They’ll tell you the same thing. Available in Midnight Black or Military Green. 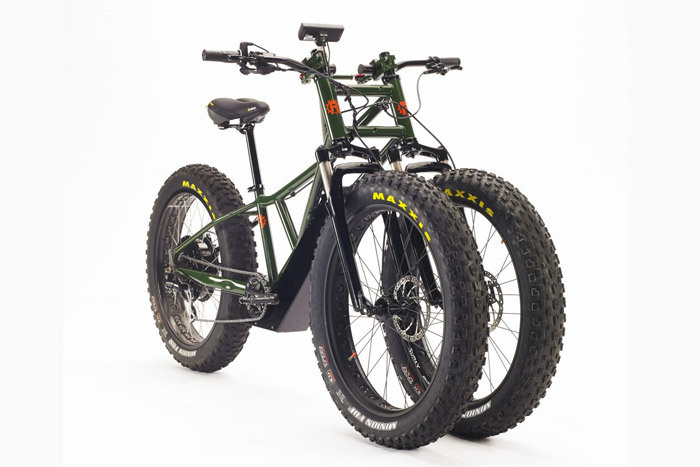 This three-wheeled workhorse can haul up to 200 pounds of cargo on virtually any terrain. The Electric Juggernaut LE rivals the stability of an ATV. So get ready to have some serious fun. To blaze new trails. To be the envy of your friends. 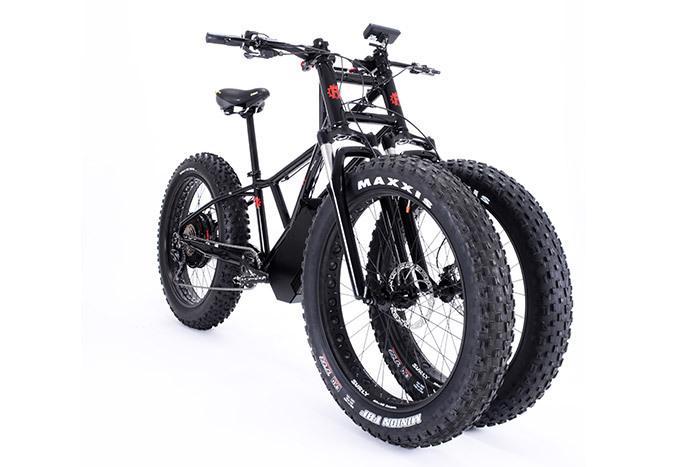 Three Fat-Tire design makes floating on snow and sand a breeze!